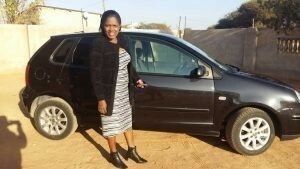 Galebone Matshitse (Botswana) Volkswagen Polo Happy Customer, Credibility, Satisfaction ! I would like to express my gratitude to SBT Japan for the courtesy service they provided to me through Shahaadh. He provided an invaluable service to me and I received my black volkswagen polo in good condition. It was the first time I made an order hence first impression of SBT to me. He updated me with everything through the process of buying up to ensuring that I really received what I wanted. Keep that spirit up, it will take your company to greater heights.